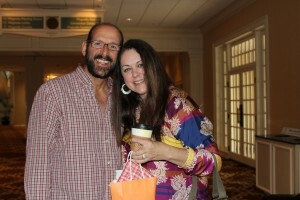 « Hadley Music Group releases Showin’ My Roots by Donna Ulisse! 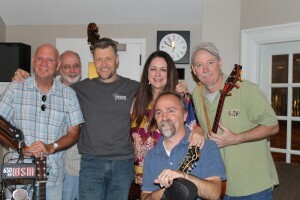 Donna and her top notch band performed two songs live during the hour and Bill Cody also interviewed Ulisse and played tracks from the record. Ulisse has been a favorite studio guest of Bill Cody and Charlie Mattos so on this morning she also brought some of her homemade Italian meatballs and sauce to them both as well as to Operations Manager Joe Limardi who also grew up in an Italian family. 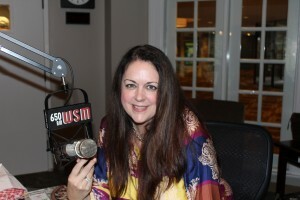 Donna Ulisse in the WSM studios on CD release date!